Agile methods are supposed to make DW/BI development faster, better, and cheaper. Yet without monitoring and control mechanisms, agile teams can drift and fail to deliver, just as easily as traditionally managed projects. Luckily, one needs only a handful of key performance metrics to make an agile teams highly successful. In this presentation, Ralph Hughes, the creator of the Agile Data Warehousing method, will share with you the seven trend lines he users to monitor and direct the agile projects he leads. By quantifying, visualizing, and tracking performance, project leaders can ensure their agile teams focus on success from day one and become steadily better at delivering software that delights the customers. Ralph Hughes serves as Chief Systems Architect for Ceregenics, a Denver data analytics consulting firm. He has been building data warehouses since the mid-1980s, starting with mainframe computers, and has led numerous BI programs and projects for Fortune 500 companies in aerospace, telecom, government, and life sciences. He authored the industry's first book agile data management, and his third book, "Agile Data Warehousing for the Enterprise," was just released in October 2015. He is a faculty member at The Data Warehousing Institute, a certified Scrum Master, PMI Project Management Professional, and has coached over 1,200 BI professionals worldwide in the discipline of incremental and iterative delivery of large data management systems. 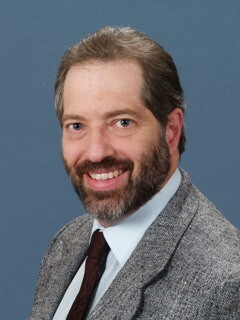 He holds BA and MA degrees from Stanford University in computer modeling and econometric forecasting. He can be contacts at ralph.hughes@ceregenics.com or 303.274.9101.